The goal was to open up the kitchen to the common areas as well as take advantage of the 14′ ceilings that were closed in by the original drop ceiling. The out dated slate veneer on the fire place was replaced with lime stone for a lighter 21st century Florida feel. The study walls were opened with arches and columns to give the entry a larger feel while keeping the study’s purpose preserved. 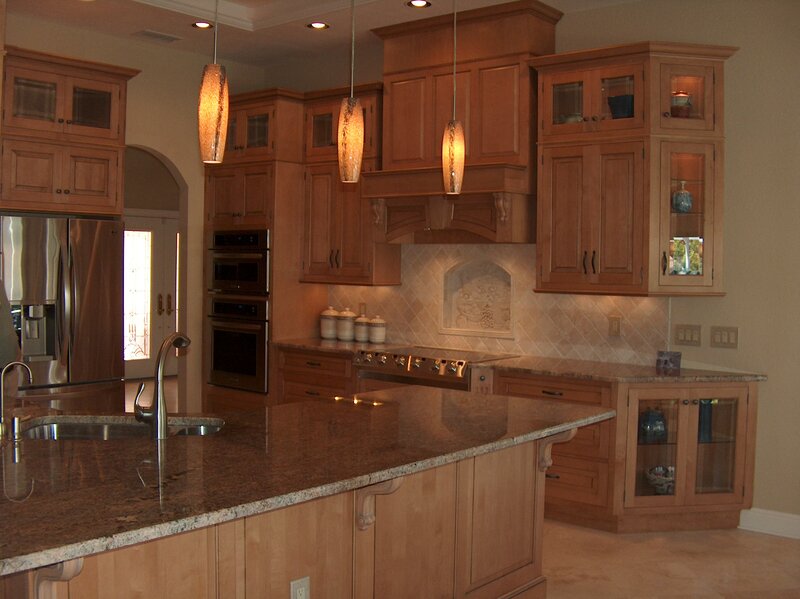 Beautiful cabinetry allows work in progress to be hidden.